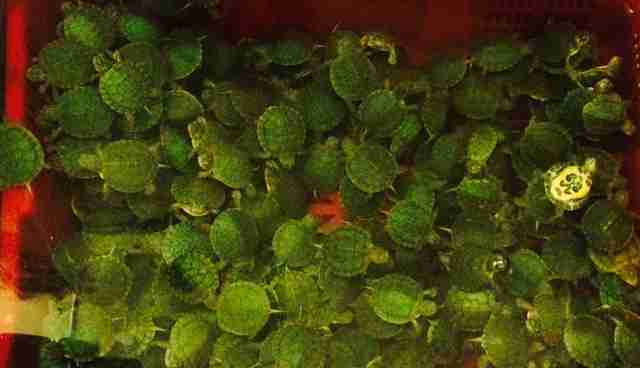 Look at these cute baby red-eared slider turtles. They will have something to celebrate during World Turtle Day now that they are bound for permanent sanctuaries where they will receive lifelong professional care rather than being sold into the exotic pet trade. 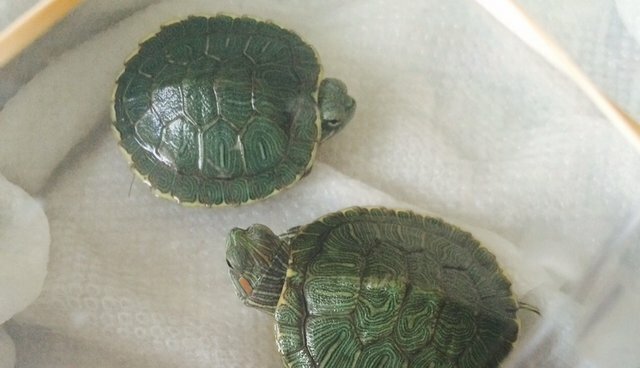 Unscrupulous wildlife traffickers possibly working for the exotic pet trade brought more than 650 of these turtles into the United States illegally from China, in tiny cramped boxes with no food or water. Not all of the babies survived the trip. The New York Department of Environmental Conservation seized the turtles from New York City's Chinatown two weeks ago and gave the survivors, 620 of them, to Lorri Cramer, a wildlife rehabilitator with the New York Turtle and Tortoise Society, for temporary shelter in her Upper West Side apartment. They will quickly outgrow Lorri's apartment. Fortunately, Humane Society International is helping Lorri find permanent sanctuaries for these turtles. Red-eared sliders are native to certain parts of the United States, but according to the shipping labels, these turtles were actually bred in China for the exotic pet trade. 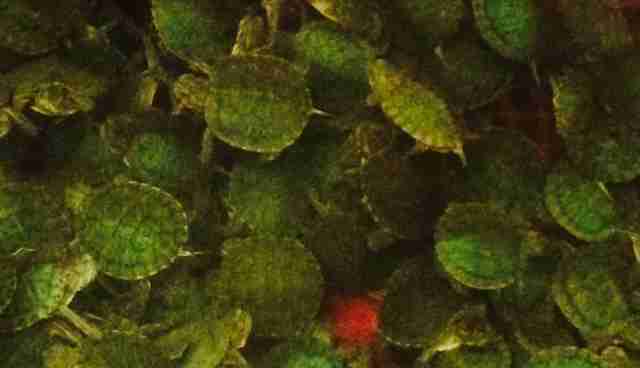 They are among the most popular pet turtles. Many people keep them in inadequate enclosures and don't provide them with the necessary lifelong care. Pet turtles can carry deadly diseases, like salmonella. Many die prematurely or are released by people, typically into non-native habitats, when they are no longer able to care for them. So many red-eared sliders have been released that they are counted among the world's 100 most invasive species. These turtles are also popular among the mercy release industry. Mercy release is a Buddhist practice in which people "release" captured animals for good karma. The tradition began hundreds of years ago as a random act of kindness and compassion for animals. Modern day rituals have been commercialized and done more harm than good for the animals and the environment. Millions of animals around the world are let go in this ritual, often outside their natural ranges where they can spread disease and compete for food and territory. Many of these animals also suffer injury or death during transport or from being captured. HSI has been working with likeminded rehabilitators, like Lorri, the American Buddhist Confederation and the Chinese Buddhist communities in the US and in Asia over the past few years on the Mercy Release Campaign. Humane Society International, together with The Humane Society of the United States' Dharmic Leadership Council and the American Buddhist Confederation, is looking for turtle sanctuaries so they can take the burden off of Lorri. The HSUS Dharmic Leadership Council consists of 12 leaders who share the value of non-violence towards animals. They will join members from the Chinese Buddhist community to provide blessing services and other assistance at Lorri's apartment. Humane Society International is asking people to help stop this cruel trade by taking the Don't Buy Wild pledge.